North Haven Health & Racquet Club features the state-of-the-art virtual group fitness program – Fitness On Demand™ – (50 plus live classes per week) delivering a vast library of fitness classes by some of the world’s leading fitness instructors such as Jillian Michaels, Billy Blanks, Bob Harper, Shaun Thompson, Tony Horton, and Tracy Anderson. Members will marvel at more than 300 interactive, high-energy workouts including Les Mills’ Virtual, P90X, Zumba, Insanity Live, and Jillian Michaels Hard Body in group settings or solo fitness sessions – anytime of the day or night. Fitness On Demand is perfect for the busy parent, employee who works late, or anyone who can’t make scheduled instructor-led fitness classes. 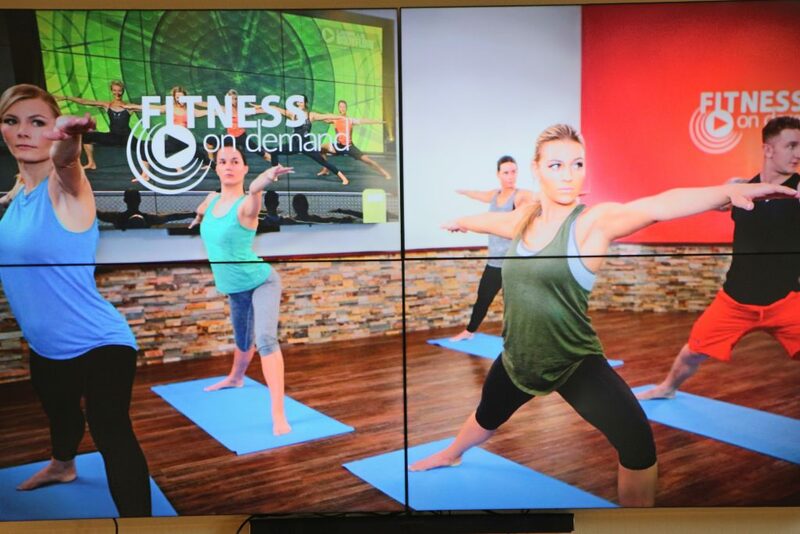 Experience Fitness on Demand Today!